How in the world are you? Perhaps you are in need of a little break in the action. I could certainly use one! So, pour a cup of coffee or tea and find a cozy place to land. It is time to breathe deeply and rest for a wee bit. The past two weeks seem somewhat surreal upon reflection. On July 15, I learned that one of my dearest friends died quite unexpectedly while on vacation in Hawaii with her husband. In the subsequent days since her death, those of us who knew and loved this woman have combined forces to support and sustain the family—and each other! As the ones left behind, we are struggling to discern our way forward in the aftermath of this tragic loss. At the memorial service, I was honored to offer a brief tribute to my friend. As I stood at the podium looking out at the hundreds of people gathered, I recognized the disbelief and grief etched on the faces of family and friends. 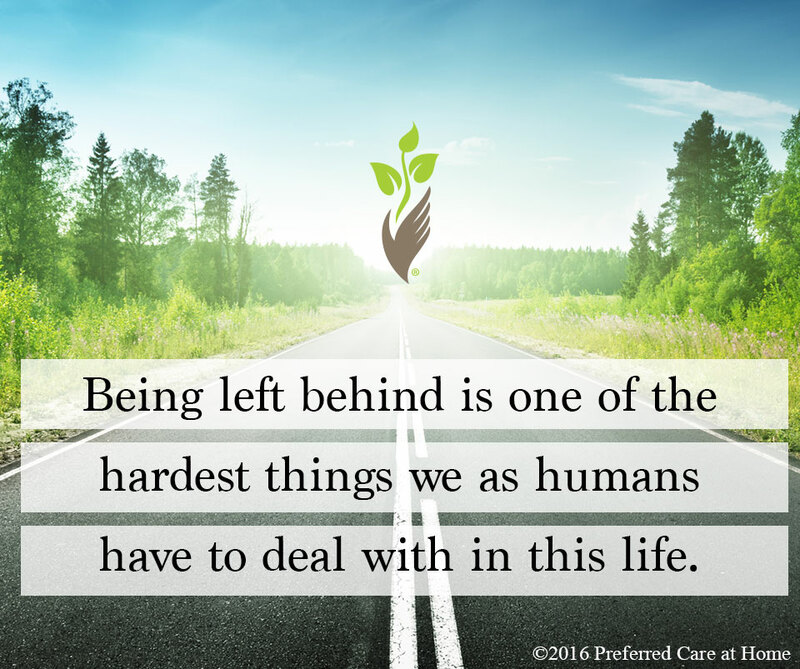 Being left behind is one of the hardest things we as humans have to deal with in this life. For those left behind, nothing seems normal. The world has been turned upside down. Inside out. Forever changed. Left behind, we perceive life differently. The reception following the service was an extraordinary gathering of family, friends, neighbors, and colleagues. Those left behind came together to laugh, to cry, to share stories, and to celebrate a life well lived. In the midst of that gathering, we recognized that we are forever changed because of the death of our beloved friend. Without exception, everyone I encountered noted an enhanced appreciation of life. Our friend’s death is a wake-up call. We are not guaranteed another moment in life. So, we need to pay attention! Engage THIS moment and squeeze the life out of it! The recognition of the fragility of life sparked an urgent need to re-examine our choices in life. Career. Relationships. Investment of our time, talents, and treasures. Left behind, we have the opportunity to discern not only what we are called to do, but who we are called to be. What a gift—a gift not to be squandered by those left behind. I don’t profess to know exactly how my path will unfold from this day forward. I am emotionally and physically exhausted by the events of the past two weeks—a condition aptly described as a “grief hangover” by one of my friends. Being left behind as a result of my friend’s death is an excruciating experience, exacerbated by the death of my brother earlier this year. However, it is my reality. It is my challenge. And, it is my opportunity to make some needed or desired course corrections—an opportunity I vow to embrace, to appreciate, and to utilize to the best of my abilities. Left behind. What will I choose to do? Who do I choose to be? Those are the motivating questions that will fuel my enthusiastic exploration of life from this day forward. Left behind, I am afforded the opportunity to continue the journey, one step at a time. May I savor every moment and every step along the way. © 2016-2019 Preferred Care at Home, a division of Help at Home Franchise Service, LLC. All Rights Reserved. Services may vary depending on the licensing of each Preferred Care at Home Franchise location. Each location is individually owned and responsible for controlling and managing day-to-day business operations.